Dr. Don Kleinmuntz is an expert on decision and risk analysis and business analytics, with significant contributions to both academia and industry. 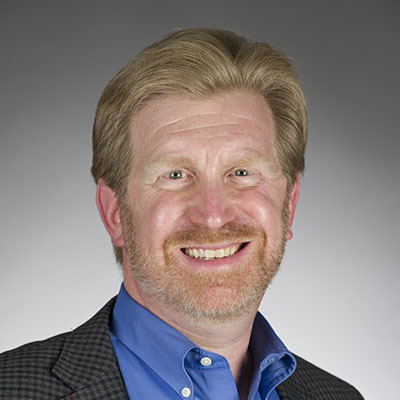 He is currently Principal at Kleinmuntz Associates, an analytics consultancy, and Adjunct Professor of IT, Analytics, and Operations at the University of Notre Dame’s Mendoza College of Business. From 2014 to 2017, Don was founding Academic Director of Notre Dame’s Chicago-based MS in Business Analytics, an innovative and intense weekend degree program for experienced business professionals. After receiving a Ph.D. from the University of Chicago’s Booth School of Business with dual specialization in decision research and statistics, Don held faculty positions for more than 30 years. In addition to Notre Dame, he held faculty positions at the University of Texas at Austin, MIT, the University of Illinois at Urbana-Champaign, and the University of Southern California. His research and teaching focused on methods and approaches for improving decision making, including applications in accounting, healthcare management, resource allocation, and homeland security risk management. In 1996, Don and his wife, Dr. Catherine Kleinmuntz, founded Strata Decision Technology. Starting in the basement of their home in Champaign, they grew the company into a leading provider of financial analytics software solutions for the healthcare industry. Over a period of 17 years, Don held a variety of executive positions including CEO, CFO, and CIO. By the time he left in 2014, the company had grown to over 100 employees and implemented solutions at nearly one third of large U.S. hospitals. Strata is currently a subsidiary of Roper Technologies, a publicly held corporation. As a consultant, Don has collaborated with hospitals, academic medical centers, and multi-hospital healthcare systems, primarily on financial decision support, strategic financial planning and resource allocation. He has also consulted on similar problems in other industries, and with several government agencies, including the U.S. Department of Homeland Security. Don is an active and committed member of INFORMS, and served as INFORMS President in 2009. He has also served as INFORMS Treasurer, President of the INFORMS Analytics Society, and founding Editor-in-Chief of the INFORMS journal Decision Analysis, and far too many INFORMS committees to reasonably list in a single-page bio. Don’s professional recognitions include INFORMS Fellow (2007), the INFORMS Decision Analysis Society Frank P. Ramsey Medal for distinguished contributions to decision analysis (2011), and the INFORMS George E. Kimball Medal for distinguished service to the field of operations research and management science (2012). Don lives in Chicago’s Lincoln Park neighborhood with his wife Catherine, their three-year-old twins, Alex and Mika, and their dog Molly, a five-year-old wheaten terrier who is firmly convinced that she is the family’s eldest daughter.